The ongoing experiments on Moon, Mars and elsewhere could translate into better crop yields and hardier plants that could thrive in inhospitable parts of the world, says Devangshu Datta. 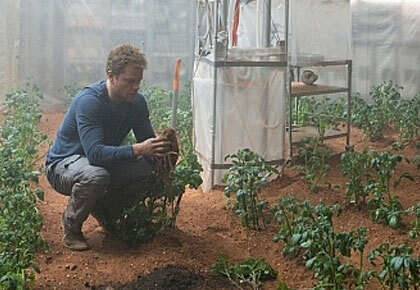 IMAGE: Astronaut Mark Watney, played by Matt Damon, turns the Hab into a self-sustaining farm in movie The Martian, making potatoes the first Martian staple. Mankind's grandiose ambitions for colonising space and settling on other planets, and to live long-term in closed ecosystems within spaceships, rest on several large assumptions. 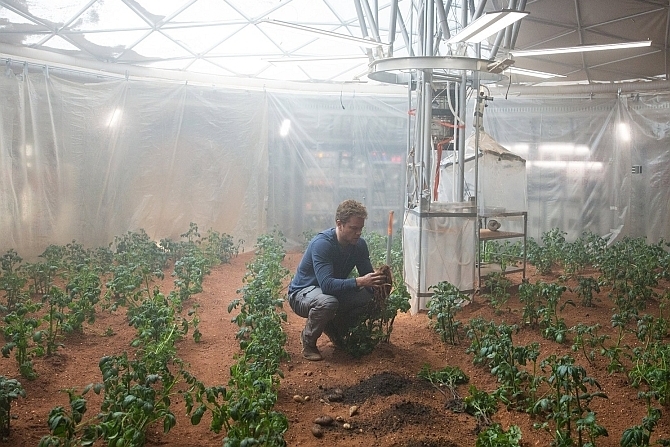 One is that human beings will be able to grow food, both in space, and on other planets. The first-ever attempt to grow plants on another celestial body, can be considered promising, if inconclusive. China's Chang'e-4, which landed on the far side of the moon on January 3, 2019, managed to successfully germinate cotton seeds. But the seeds withered and died with the onset of lunar night. Researchers at Chongqing University created an enclosed environment within an aluminium canister, for the craft. This mini-biosphere contained water, earth soil, four types of seeds, fruit fly eggs, and yeast. The cotton seeds germinated on the moon, sprouting leaves. But the potato, rapeseed and Arabidopsis (commonly called thale cress, a plant related to cabbage and mustard) did not germinate. The fruit fly eggs did not hatch either, going by the reports. The researchers hoped that the fly eggs would hatch, with the plants providing oxygen via photosynthesis, while the flies fed on the yeast to generate carbon dioxide, which could sustain the photosynthesis process. This builds on experiments at the International Space Station (ISS), and in Russia's Mir space station and China's Tiangong-2 space lab. Astronauts have successfully cultivated plants including thale cress in these zero-gravity environments. 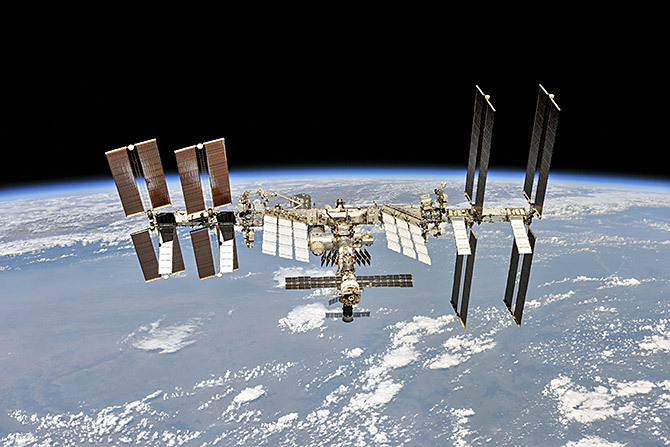 Algae and fungi have survived for long periods on the ISS. However, the moon represented far more severe challenges. Temperatures on the lunar surface vary between minus 170 C and plus 120 C with the day and night each lasting about the equivalent of an Earth fortnight. There is no air to mitigate the impact of sunlight, and this means a very extreme cycle of heating and cooling. It was anticipated that the cotton plant would not survive the cold of a lunar night. The canister does not have a heating system. It does have a heat transfer system that makes it possible for it to stay relatively cool during the hot lunar day. The death of the plants and the end of the experiment was announced once the temperature reached minus 52 C, after lunar nightfall. The plants will presumably decay. But that will not contaminate the moon since they will remain inside the canister. Apart from temperature swings, cosmic radiation is also very high on the moon, due to the absence of an equivalent of the Van Allen Belt, which is created by interactions between the Earth's magnetic field and solar radiation. The VA Belt blocks most of the cosmic radiation to Earth. It was also unknown how plants would respond to weak lunar gravity, at about one-sixth that of the Earth. Low gravity makes it harder for air to circulate. We already knew that lunar soil, or at least some of it, contains enough nutrients for growing plants. However, growing plants directly on the moon will require the creation of biospheres that can control temperature, and mitigate the cosmic radiation. It will also require water and some system to ensure circulation of air and water, in low gravity. 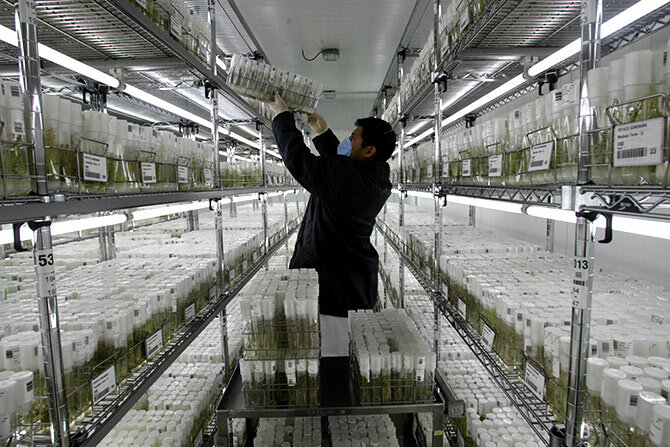 The choice of the plants and flies is interesting, The fruit fly is perhaps, the most studied species in creation so its genome is well understood. Rapeseed yields oil (the leaf is also edible). Cotton can be used to grow clothes, make ropes, etc. Thale cress is also well-understood genetically and it has closely related cousins that are food plants. Potatoes have high calorie yield per area which makes them a good choice if you are looking for plants spacefarers could carry. Some experiments suggest potatoes could be grown on Mars, which actually has a more hospitable environment in some ways than the moon. The International Potato Center (CIP) in Lima, Peru, has grown potatoes inside a sealed container simulating Mars temperature, air pressure, oxygen and carbon dioxide levels. The results are positive; cameras inside the canister show sprouts growing. However, Mars has much lower solar radiation than Earth because it's much further from the sun. It also has much lower gravity and higher cosmic radiation. It's unknown how these would affect plants and indeed, affect human beings. These experiments, and technologies developed via such experiments, could obviously translate into better crop yields and hardier plants that could thrive in inhospitable parts of the world. They will lead to better understanding of how organisms respond to extreme conditions and high radiation. They must work, if Earth is ever to establish extra-terrestrial colonies with human inhabitants. Images used only for representational purposes.